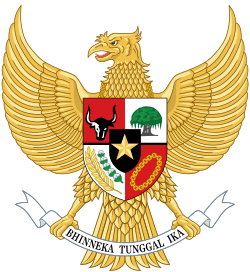 Indonesia Stock Exchange (Indonesian: Bursa Efek Indonesia) is a stock exchange based in Jakarta, Indonesia. It was previously known as Jakarta Stock Exchange (JSX) before its name changed in 2007 after merging with Surabaya Stock Exchange (SSX). As end of 2012, the Indonesia Stock Exchange had 462 listed companies with a combined market capitalisation of $426.78 billion. In mid September 2016, based on Single Identification Number there are 500,037 domestic investors which 487,713 are retail investors and 12,324 are institutional investors. On September 21,2016 total daily transactions average is more than 250,000 transactions/day with average value Rp 6,400 billion/day. On October 20, 2016 the bourse noted new record of 428,640 total number of transactions and tumbled previous records on July 13, 2016 with 376,777 transactions. The new record is also followed by other new records, 39.04 billion unit stock transactions and involved 38,734 active investors. And Indonesia stock exchange market cap set the second highhest in the Southeast Asia with $446.41 billion below Singapore with $476.91 billion. Originally opened in 1912 under the Dutch colonial government, it was re-opened in 1977 after several closures during World War I and World War II. After being reopened in 1977, the exchange was under the management of the newly created Capital Market Supervisory Agency (Badan Pengawas Pasar Modal, or Bapepam), which answered to the Ministry of Finance. Trading activity and market capitalisation grew alongside the development of Indonesia's financial markets and private sector - highlighted by a major bull run in 1990. On 13 July 1992, the exchange was privatised under the ownership of Jakarta Exchange Inc. As a result, the functions of Bapepam changed to become the Capital Market Supervisory Agency. On 22 March 1995 JSX launched the Jakarta Automated Trading System (JATS). In September 2007, Jakarta Stock Exchange and Surabaya Stock Exchange merged and named Indonesian Stock Exchange by Indonesian Minister of Finance. The current location of the Indonesian Stock Exchange is located in the IDX building in the Sudirman Central Business District, South Jakarta, near the current site of the Pacific Place Jakarta. Both Jakarta Stock Exchange (JSX) and the Surabaya Stock Exchange (SSX) merged to form a new entity "Indonesia Stock Exchange" (Bursa Efek Indonesia). After the merger, the new entity has seven directors. In November 2012, IDX received an approval from the Capital Market and Financial Institution Supervisory Agency (Bapepam-LK) for its plan to start trading 30 minutes earlier and instituting a pre- and post-closing session to avoid price manipulation. Negotiated market follows the same time as regular market, but extend to 16:15 on all weekdays. The trading hour was advanced 30 minutes earlier to accommodate traders from Central and Eastern Indonesia timezones that are one and two hours in advance, respectively. (JATS is based on WIB) The change is also meant to put it in line with other Asian markets, namely Singapore and Hong Kong stock exchanges. To increase transactions, starting on May 2, 2016 Indonesia Stock Exchange introduced new tick price with a lot as 100 shares as before. Two of the primary stock market indices used to measure and report value changes in representative stock groupings are the Jakarta Composite Index and the Jakarta Islamic Index (JII). The JII was established in 2002 to act as a benchmark in measuring market activities based on Sharia (Islamic law). Currently, there are approximately 30 corporate stocks listed on the JII. The FTSE/ASEAN Indices were launched by the five ASEAN exchanges (Singapore Exchange, Bursa Malaysia, The Stock Exchange of Thailand, Jakarta Stock Exchange, and The Philippine Stock Exchange) and global index provider FTSE on 21 September 2005. The indices, covering the five ASEAN markets, are designed using international standards, free float adjusted, and based on the Industry Classification Benchmark (ICB). The indices comprise FTSE/ASEAN Benchmark Index and FTSE/ASEAN 40 tradable index. The FTSE/ASEAN 40 index is calculated on a real-time basis from 9:00 a.m. and the closing index is calculated at 6:00 p.m. (Singapore time). The FTSE/ASEAN benchmark index is calculated on end-of-day basis. Besides Jakarta Composite Index and JII, IDX also has 4 more types of index, namely Individual Index, Sector Stock Price Index, LQ 45 Index, Main Board and Development Board Indices. At 12 May 2011 Indonesia Stock Exchange officially launched a new Indonesia Sharia Stock Index (ISSI), which comprises 214 Indonesian stocks which have been screened by the Majelis Ulama Indonesia (Indonesia Ulema Council). Fatwa Number 80 from Indonesia Ulema Council is expected to make public no longer have any doubt to make sharia investment in the capital market to eventually increase the number of the domestic investors in the Indonesia Stock Exchange. At end of 2010, the capitalisation is Rp.3,100 trillion and 26 percent of it are 17 state-owned companies listed among 421 companies listed. The greatest company capitalisation is also state-owned company: Telkom (Code: TLKM) with Rp.161.2 billion. 7 of 20 greatest amount of capitalisation are also state-owned companies. On 3 June 2011 there are 344,279 local investors registered at the IDX Custodian (KSEI). As of the end of 2011, foreigners owned 60 percent of publicy traded stock, but throughout the year domestic traders dominated trading with a share of 64.5 percent. ↑ "IDX Company Profile". Retrieved 20 March 2016. ↑ "2014 IDX Annual Report" (PDF). Retrieved 20 March 2016. ↑ Zubi Mahrofi (September 18, 2016). "IDX: Stock Investors in Domestic Capital Market Reaches 500,037". ↑ "Frekuensi transaksi harian menembus target BEI". September 22, 2016. ↑ "BEI Bukukan Frekuensi dan Volume Transaksi Perdagangan Saham Tertinggi". October 29, 2016. ↑ "Kenaikan kapitalisasi IHSG tertinggi di Asia". November 1, 2016. ↑ "IDX will start trading day earlier in January". 2 November 2012. ↑ "Indonesia stock exchange extends trading hours by January 2013". ↑ "Fraksi harga bawah jadi favorit investor". May 2, 2016. ↑ Indonesia, PT Bursa Efek. "Events". ↑ Post, The Jakarta. "New sharia index launched to boost liquidity, investor base". ↑ "Waspada Online – Pusat Berita dan Informasi Medan Sumut Aceh". ↑ "State companies control 26 pct stock market capital". ↑ "IDX unveils ways to be SE Asia's largest stock market". 13 February 2012.